In this market update, Lee explains why he alerted our students for a 100 point profit in Crude Oil his morning. He pieces together the reason and the entry on the setup. If you took this trade with £5 per point you would have made £500 on 1 trade. Are you interested in learning face-to-face with Lee Sandford? Join us on Saturday 16th June in London for our one day Learn To Trade Live course. Find more details here. Reserve your place for June 16th in London. Crude Oil gave us the 100 points we were looking for in the Live Trading room this morning. It was a nice start to the day! It’s all about using multiple time frames. So many traders don’t look at larger time frames when they are making a decision to place a trade. The bigger time frames pull the smaller time frame charts with them. Even if you’re a Swing trader and working full time, you need to be looking at the bigger time frame charts and using smaller time frames like the 4-hour chart to enter. It’s one of our core principles here at Trading College. If you trade the trend with the bigger time frame, you have the potential to make big returns. Counter trend trading should only be done at the end of a trend. 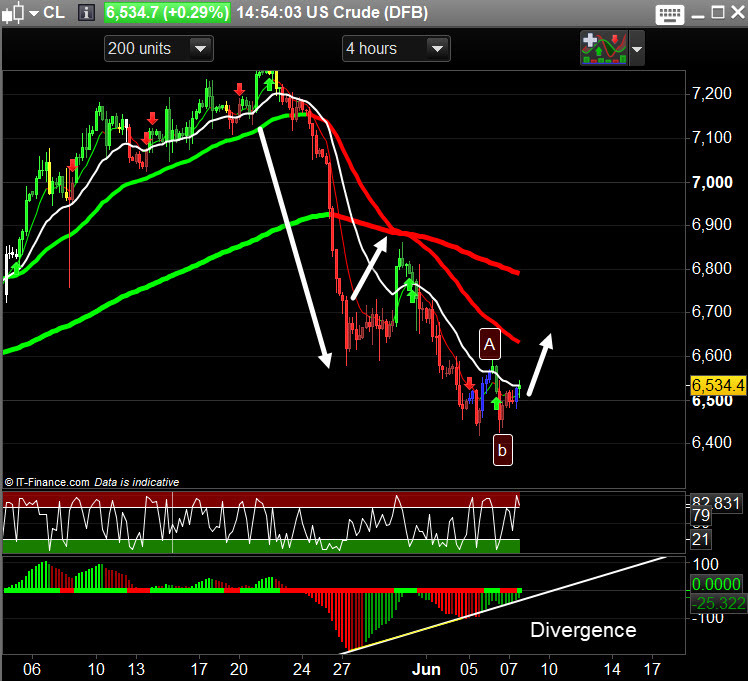 Spotting that requires a skill which we talk about on this Crude Oil trade update.